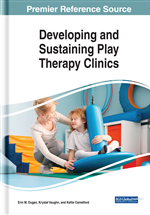 In this chapter, the author introduces live play therapy supervision as a complementary method to the traditional ways in which play therapy supervision is done, particularly in the context of play therapy training clinics. As conceived here, live play therapy supervision represents a valuable addition to the clinical supervision practices employed in the training of future play therapy practitioners. Specifically, this chapter proposes a working definition of live play therapy supervision, presents the advantages and disadvantages of using this model, explores some methods as well as techniques of live play therapy supervision, and describes the process of live play therapy supervision. Finally, the profile and role of the live play therapy supervisor is defined, the supervisory relationship is described, as well as the implications and future research possibilities in this area. Live supervision involves the direct observation of a counselor-in-training’s session, and the synchronous intervention and guidance of a seasoned clinical supervisor (Bernard and Goodyear, 2014; Machuca, Johnson & Moro, 2016). By its very definition, live supervision is an experiential supervision method that provides both supervisor and supervisee the opportunity to interact in real time. Live supervision is different from other methods of supervision in that it allows the supervisor to provide direct guidance and intervention to the supervisee during the course of a counseling session. This is a very common method of supervision in counselor education and supervision settings (Koltz & Feit, 2012; Moody & Vereen, 2014), as well as other clinical programs with on-campus training clinics.